It’s fair to say that the British population is getting older, which is great news for those of us nearing our twilight years, but it does bring some challenges. How do we manage our own or our relatives’ health, social and personal care in the older years? And is there a way to do it which allows them to stay in their own home, surrounded by their precious belongings and memories? The answer for many is live-in care, a personal type of care that is fast emerging as a popular alternative to residential and sheltered accommodation. Live-in care is when a professional carer moves into your loved one’s home to live with and look after them 24/7. The aim is to help your elderly father, mother or loved one live independently, whatever their physical limitations. Live-in care can be provided by one person or several, with two or three carers providing support on a rota basis, i.e., one week on, one week off. The carers will provide day and night care (though by law they are entitled to breaks) and will follow a tailored one-to-one care plan. This can be a short or long-term arrangement. Your relative can stay in their own home and community while being looked after. You gain peace of mind by knowing they are safe and someone is available in emergencies at any time of the day or night. Is Live-In Care the Best Option for your Loved One? Live-in care would particularly suit your loved one if they would gain advantage from around-the-clock care, are struggling to do household tasks, and/ or if they would benefit from a companion. Live-in care best suits people with moderate to mildly severe care needs (if your relative has severe health concerns, you may need to look for specialist live-in nursing care). Perhaps your elderly mother struggles to keep up with the cooking, cleaning and shopping or your father has trouble bathing, toileting or dressing. As a relative, it can be heart-breaking to picture your loved one missing out on meals or struggling to bathe; a live-in carer can help with that. Staying in their own home for as long as possible is important to many elderly people who want to maintain social links and stay near friends and neighbours. Those who live alone might also appreciate the companionship that a dedicated 24/7 carer brings. After all, ad hoc home help is too often rushed and performed by a changing circus of people. Live-in carers, on the other hand, can provide continuity of care, allowing friendships and companionship to form. In an ideal situation, the carer can become a friend who helps to run errands, take your loved one shopping, to the doctors or hairdressers, and arrange stimulating days out. It can be an antidote to loneliness. You or another relative act as carer and need respite care (live-in 24/7 care also can be provided on a respite or temporary basis). What Can You Expect from Live-In Care? The exact nature and extent of live-in care will differ according to the individual care plan between carer or agency, and the client (your relative). Carers will provide for all aspects of elderly care, such as mild health issues and personal upkeep, ensuring cleanliness, wellbeing and dignity. Some also specialise in dementia care, as an example. Live-in carers also typically help with household chores such as cleaning, hoovering, shopping, and also expect to prepare meals. They can organise and oversee medical appointments, and some – but not all, so it is best to check – will take charge of any medication needed. They may do some light gardening and can even help your loved one to care for any pets, something that typically wouldn’t be allowed in a care home, meaning your elderly parent doesn’t have to say goodbye to a canine member of the family. Live-in carers can also help your loved one maintain their social world and independence for as long as is possible by driving and accompanying them to events and arranging days out. This could include trips to the doctor or the hairdressers, or further afield. In essence, round-the-clock carers allow the client to continue to make their own choices, anything from choosing when to go to bed, to when to get up, when to eat meals and how to spend their days. They don’t have to fit in with anyone else’s timing or schedule, as they would if they went into a care home. If the carer is chosen well, their presence can also give your loved one a crucial companionship and friendship that they might otherwise lack. Indeed, a good carer should care for your mother’s, father’s or loved one’s emotional needs as well as their physical. Most care homes offer one carer to four or more clients, but with live-in care your relative gets dedicated one-to-one care. This can greatly improve quality of life and enable your parent to be much more independent than they might otherwise be. While the costs of a live-in carer vary from region to region, and whether you hire through an agency or privately, you can potentially expect to pay anywhere between £700[iii] to -£1,500[iv] a week. This could still work out cheaper than the cost of a decent care home, especially for couples who might otherwise have to pay for two residential care spots, or if you or another member of the family can help out to reduce costs. 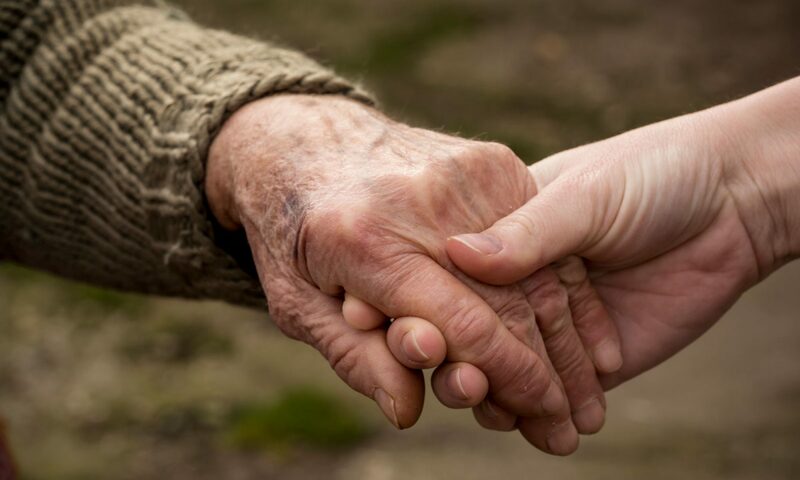 As well as long-term, live-in care can also be used to provide emergency care when a carer is ill; to offer respite care to family members; help with convalescence care after returning from hospital, for instance, or to aid end of life care. Read our series of articles on live-in care, examining the pros and cons, funding, at-home care versus care home issues, agencies and providers of live-in care and more.